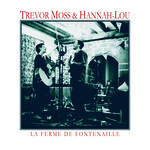 The second of the Trevor Moss and Hannah-Lou albums reissued on their own APRC label, Expatriot was the duo's fourth album following on from La Ferme De Fontenaille (APRC 001CD) and was originally released in October of 2015. This album was actually a co-release with Ethan Johns's Three Crows label. Having recently toured as support to Tori Amos in London and America during 2014 they were keen to make a new album promptly. Shortly before embarking on the tour they had done a run of shows with Ethan Johns (famous for producing albums by Laura Marling, Ryan Adams, The Kings Of Leon, and Paul McCartney). Bonding over damp distributor caps, click starter-motors, and faulty switches, they became firm friends. 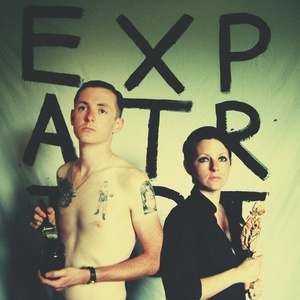 In February 2015, the duo travelled to Ethan's home studio in Wiltshire and began recording Expatriot.